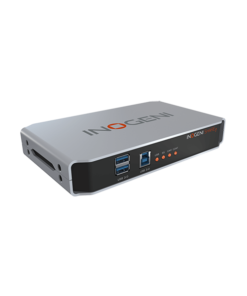 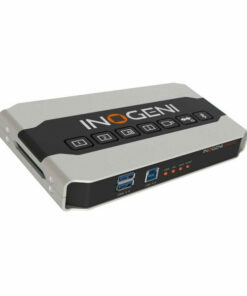 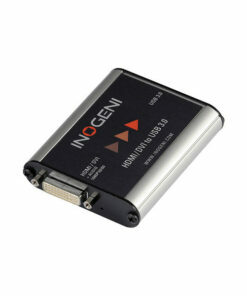 The INOGENI SHARE 2 is a dual video to USB 3.0 converter. 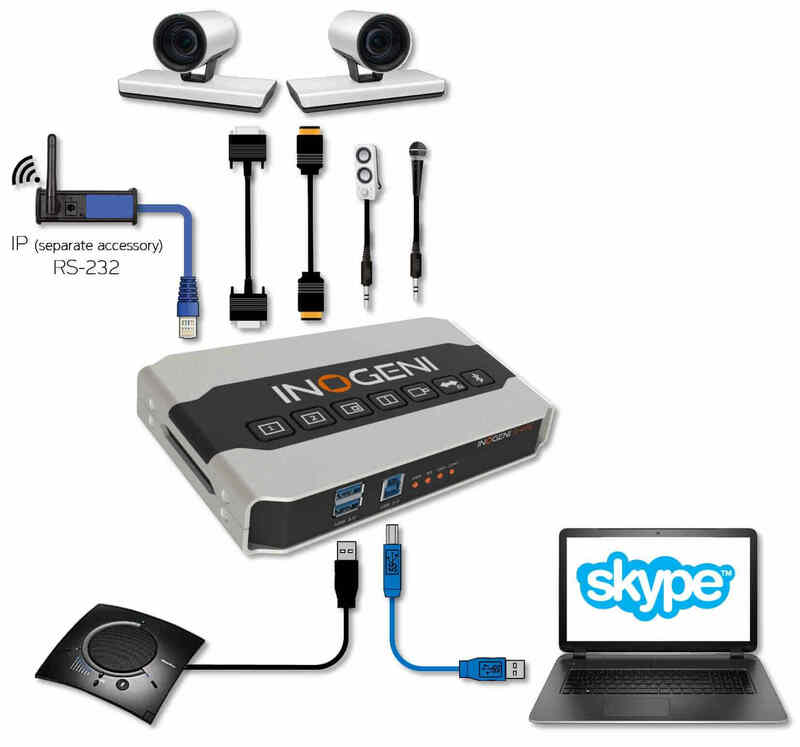 It’s an easy-to-use solution for capturing two video sources simultaneously and running them via USB to your computer for streaming in applications like Skype. 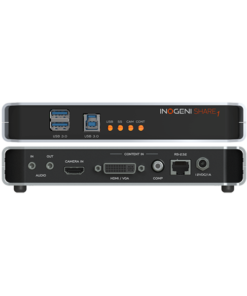 Built-in IP control allows you to control the SHARE 2 over a network. 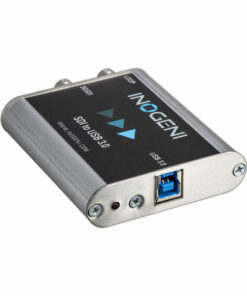 It provides Web-based control using HTTP or TCP/IP. Mixer feature : Hardware mixer into a single USB 3.0 interface. 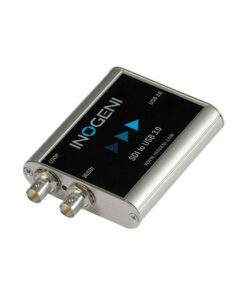 Line level stereo audio support. 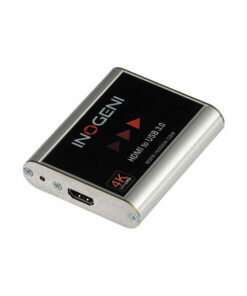 Digital Fluid technology: Internal frame buffers maximize frame rate with any host. Supports multiple devices on the same host. 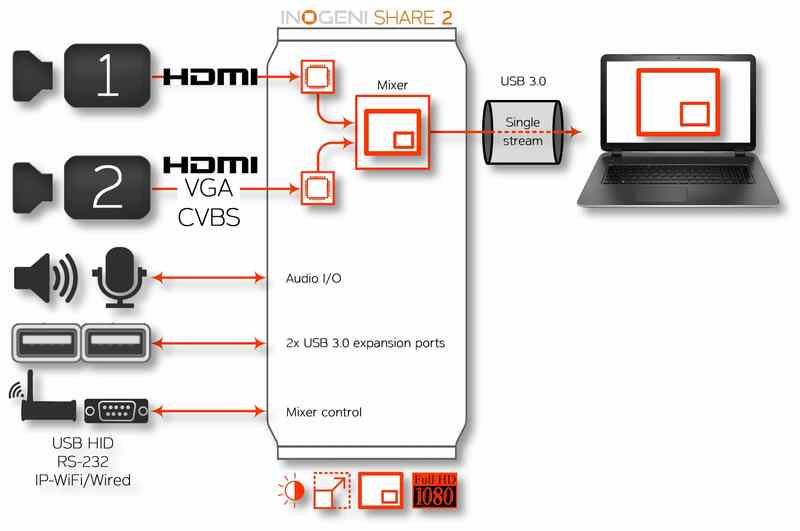 You can use the Mixer feature of the INOGENI SHARE2 to embed your two video sources into one single stream. This feature can be an important asset for you if your application only supports one video interface, like Skype®, Zoom®, Webex®, GoToMeeting® and all video conferencing applications. 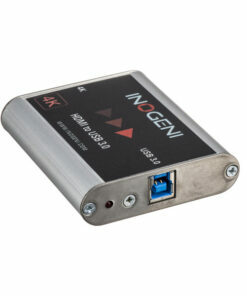 The device can be controlled by an application on the host side using our USB HID interface or with RS-232. 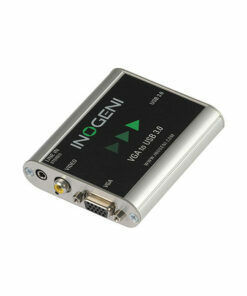 You can also use the keypad on top of the device to control it manually.